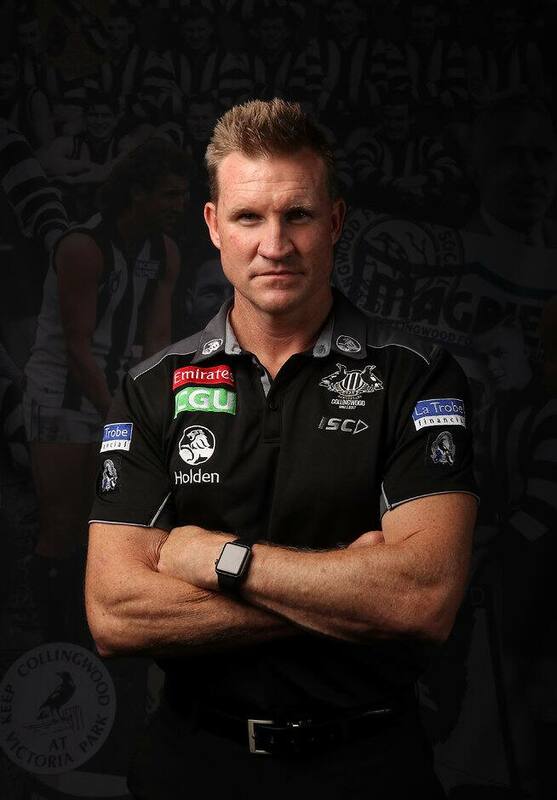 Has Nathan Buckley changed enough to keep his job? LATE last season, Collingwood coach Nathan Buckley predicted his team would need to make the finals in 2017 for him to keep his job. Granted, he was responding to a question during a standard radio interview, but one of the game's more open and honest coaches knew what he was doing. And, he also had to know he had just fuelled what remains one of footy's hottest topics. Three seasons out of the finals and a gradual slide down the ladder in his five years in charge (the Pies finished fourth and reached a preliminary final in his first year, 2012) has led to this point: it's now or never for faith in Buckley's football program to be restored. Buckley says he's relaxed about the season ahead and he appears to be, too. His complexion – which club insiders notice changing when stress hits – is clear. It helps that the team's pre-season form has been reasonable. However, Buckley knows he must continue to change and improve for Collingwood to emerge from the dip in its fortunes. Buckley is well aware of his shortcomings and recognises he needs to evolve to capitalise on his best characteristics. It's well known Buckley is demanding on himself; he was raised to believe in the ethos that the best chance of success comes through hard work. Hard work, combined with his fierce competitiveness, shaped a glittering playing career heavy on individual honours but short of the ultimate goal: a premiership. Discipline, hard work and commitment became ingrained into his DNA, so much so that it was only 18 months ago he discontinued the ritual he developed as a player of weighing himself – a mere eight years after his career ended. An operation to repair the hamstring he tore off the bone while playing touch football had prompted the shift, which extended to him also finally ending the habit of timing himself running Melbourne's Tan Track. His two years as coach-in-waiting (2010-11) had been manic. When he found that pressure creeping into his family time, he reduced his "on" time by about 20 per cent. Even though it felt like cheating at times, he knew it was the right approach. On the work front, however, the 'harder-you-work-the-luckier-you-get' approach began to cause Buckley problems when he took over as senior coach, relatively inexperienced, as aspects of his man-management jarred with others in his sphere. The frustration in the way he worked, when it existed, related more to matters that in isolation appear trivial, yet when piled up day after day, have been known to wear people down. For example, it wasn't long ago that Buckley would send evening texts to his senior players to open up a conversation about a training drill earlier that day. Although to Buckley the communication was about inclusion, some recipients interpreted it as an intrusion into their downtime. Vocal at a coaches' dinner midway through last season in expressing his view that the AFLPA too tightly controls the contact hours players have at clubs, he has often demanded more when others are either openly urging or silently screaming for less. Buckley, at times, has also found it hard to sit idly by if a presentation from an assistant didn't – in his view, at least – hit the mark. Players would wait for Buckley to chime in, feeling the impact his intervention had on the vibe in the room. And the empathy he displayed towards individual players eventually became a source of suspicion when hours and hours of good work could be undone with a remark following a defeat. Those moments would leave some players confused as to what really mattered to the coach: the person or the result. Those around Buckley during that initial phase of his coaching career defend him strongly on that front, saying the coach was, if anything, guilty of giving too much time to some players without that care being reciprocated. But they do acknowledge his battles with matching care and demand under the fierce spotlight of wins and losses. Those most critical saw his handling of Heritier Lumumba as a good example of a coach being well-meaning but too indulging of a player. The eventual saga underlined to them that Buckley was still learning, still working out when enough was enough and to cut a player adrift. Although his intent was right, his actions weren't always having the impact he hoped. That hurt him. An idealist, Buckley privately and publicly lives by impeccable values: he is respectful, inclusive, smart and down-to-earth, and in the moments his football brain turns off, he is genuinely interested in the lives of others. You get a sense of those qualities listening to or watching Buckley in his various media appearances. In a relatively short time, he has developed a statesman-like standing when discussing on- and off-field football issues. Anyone who encounters him away from football's furnace – where he is interested and interesting company – leaves wanting him to succeed. He's also generous, organising tickets to Wimbledon for injured defender Jackson Ramsay when he travelled through Europe during last season as part of his rehabilitation. "He [Buckley] was in constant contact…the tennis tickets [were] a nice surprise," Ramsay told AFL.com.au. It's consistent with Buckley's want to reward those he can see having a crack. IN MANY ways, it's not surprising these types of issues have arisen for the champion-turned-coach. Buckley has now been at Collingwood for 22 of his 44 years, a football club person most of his adult life, apart from two seasons working in the media. A footy mastermind, even his critics respect his knowledge of the game and what underpins it. However his hands-on management experience was naturally limited and he'd never coached his own team. Add to that the challenge of coaching 14 former teammates, 12 of whom had played in the 2010 premiership, and the degree of difficulty inherent in the job was high. Particularly when everyone's antenna was up, searching for any sign of the Buckley he acknowledges existed until his mid-20s returning. Perception soon became his reality. After 2010 premiership coach Mick Malthouse had accepted, reluctantly, the need for a transition to a new generation of coaching, the club – from top to bottom – believed in the need for a change, both in culture and playing stocks. Buckley took on the task with relish, his passion for Collingwood sometimes underestimated. At times during the early days his zeal overflowed, resulting in him taking an interest in the decision-making minutiae of the club, in areas no coach has enough time to consider. The Pies turned over 56 players from 2011-15, the biggest change of any club, with everyone from the president to the captain supporting the moves. Although a unique set of circumstances surrounded each decision, Buckley had to wear the heat, despite the fact the club had started the fire. Collingwood's leaders didn't stifle any hype, with CEO Gary Pert claiming in 2014 that a premiership within three years was a reasonable expectation. Then came a sorry injury list that included key players, Ben Reid, Dane Swan and Jamie Elliott. Only three players – Scott Pendlebury, Steele Sidebottom and Jarryd Blair – have played 100 or more games for the Magpies under Buckley. Two top-10 picks from 2013 (Matt Scharenberg and Nathan Freeman) have yielded just four combined games to date due to injury, with Freeman departing for St Kilda after two seasons. A pair of trusted players, Lachlan Keeffe and Josh Thomas, missed two years for breaching the AFL anti-doping code before returning the fold this season. A conga line of football managers (Geoff Walsh, Rodney Eade, Neil Balme, Graeme Allan, then Walsh again) created instability. Buckley wasn't at fault, but the lack of continuity was impacting on the environment and the football program. Throw in the unexpected departure of Dayne Beams (to the Brisbane Lions), as well as the impacts of free agency and expansion, and it's easy to see reasons outside the coach's control that made the road to transition muddy and potholed. The generous can point to as many promising players emerging under Buckley as have gone off the grid, with Josh Smith, Jamie Elliott, Taylor Adams, Travis Varcoe, Mason Cox and Ramsay much better now than when they arrived. The talented Sidebottom, Pendlebury and Adam Treloar have also flourished under his tutelage. Many of those players are of similar ilk to Buckley: professional, mature and dedicated, but he also has found ways to extend the potential of Brodie Grundy, Tom Phillips, Darcy Moore and Alex Fasolo by challenging them. One former player contacted by AFL.com.au didn't hesitate when asked his view of Buckley: "I love him." Some other departed players have expressed different views, at times publicly. The resultant slide down the ladder has therefore hidden to some extent what Magpie insiders vehemently argue is forward movement off the field in the five years Buckley has been the club's public face. But the slide had to be addressed. IT WAS on an end-of-season trip to the US to visit various NFL clubs and college football teams (New York Giants and San Francisco 49ers, and Oregon and Stanford universities) that a light bulb shone for the coach. Buckley had flown out of Melbourne intending to fill the void left when Leading Teams parted ways with Collingwood at season's end. He had planned to run the 2017 leadership program himself. The coach had even made a presentation outlining how it would operate and presented it to key decision-makers at the club. However, during a week at the prestigious Stanford campus in Northern California, when he had full access to observe the school's football program, something changed. He saw how a team with 105 student athletes on its list relied on delegation, how head coach David Shaw willingly – and by necessity – empowered his assistants and, importantly, his players. Stanford director of football operations Matt Doyle, who spent time with Buckley and West Coast coach Adam Simpson, told AFL.com.au observations of the program's scope would have reinforced to Buckley that trust in the process of delegation was "essential". As he sat in the halls of Stanford's state-of-the-art football department, Buckley began to shift his thinking on how Collingwood's leadership program needed to be managed. He was aware feedback had come from players during the 2016 review that relationships between coaches and players had at times felt forced, an obligation, rather than a source of comfort. Buckley decided then he would pass control of the leadership program to his players. Now, some six months later with the new-style program implemented and working well, relationships between players and coaches are more organic, the reins loosened to ensure people aren't wasting time together simply for appearances. Strong relationships with the skipper Pendlebury and midfielders Sidebottom and Adams gave Buckley the confidence they could direct and drive a program to suit players' needs. On March 14, the club announced a three-man leadership group, sparse in comparison to groups at some other clubs. Pendlebury, who has won four of five best and fairest awards under Buckley, has shown his willingness as captain to support Buckley in the darkest times. It was the skipper, most upset after last year's season-derailing 80-point loss to the Sydney Swans in round one, who dragged his teammates into a room and told them the performance was unacceptable, allowing the coach to be more pragmatic in his summary. Eight players from that round one game are no longer with the Magpies, the biggest turnover of any club from its round one team in 2016. But that is not the only change. Brenton Sanderson, a close friend of Buckley's, joined the football staff as an assistant coach. An advocate of recognising what players can do rather than what they can't, the former Adelaide coach has the confidence to challenge Buckley. Coaching mentor David Wheadon, who spent the week with Buckley at Stanford, started working with the Magpies' assistant coaches in a part-time capacity on his return from the US, helping them find ways to get better. And Walsh is back in the footy manager's chair. The veteran administrator has a habit of calling a spade a shovel, so the messages – and lines of responsibility – are clear. The changes resulted in a relatively settled off-season (from the moment Walsh returned as football manager, at least). The Magpies built on the momentum gained in the final 10 rounds last season, when they matched the top teams in the contested areas of the game the coach likes to refer to as "grunt". But no one knows what will happen to the coach when the pressure returns. For Buckley's evolution to continue he must – especially when the stakes inevitably get higher – keep faith in others, so others have the chance to keep faith in him. Buckley thinks results are all that will matter when the decision on his future comes. Perhaps he is right, but if he can continue to evolve and find the lines between control and empowerment, care and demand, and fun and hard work, then the tale of his coaching career might replicate the one he wrote as a player. He is fond of telling his players that opportunities are in front of them. He knows there's one in front of him. This season will determine whether he grabs it.